This is an archive site featuring many articles which appeared in Spearhead magazine, edited and produced by John Tyndall. 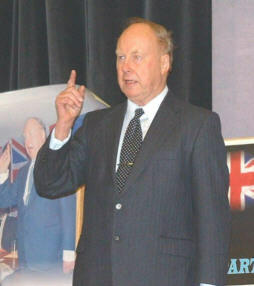 JT was the founder and former Chairman of the British National Party, and died on 19 July 2005. He was an excellent writer, an uncompromising nationalist and a tireless campaigner against mass immigration and the consequent threat to Anglo-Saxons and kindred people. Immigration, We Are Being Lied To! C of E Bishops Determined to Destroy Britain?